The Yeti is quite the unique machine, whether it's the quirky style, compact dimensions or big car price. 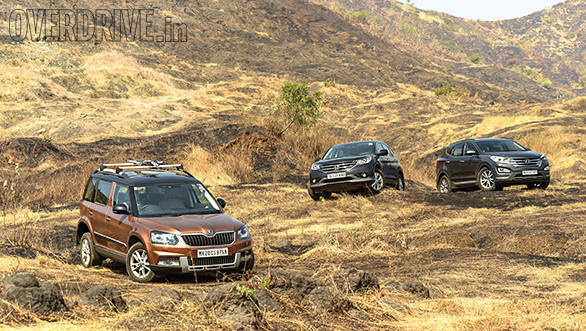 So much so that it made us wonder what to put the mini SUV up against when it comes for test. After a lot of back and forth, we settled on the Honda CR-V and the Hyundai Santa Fe. 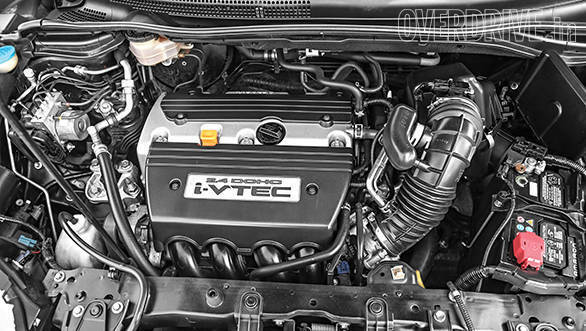 The Honda because it's quite a niche machine as well with its petrol engine while the Hyundai made it simply because we believe it's the current segment best. Part of the Yeti's allure was it's love it or hate it styling. 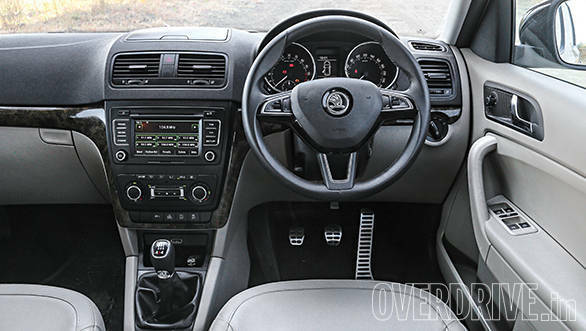 The new one has toned down the quirkiness a bit up front with new, more generic Volkswagen style headlamps that now feature bi-xenon projector lamps and a thin strip of daytime running LEDs. A freshened bumper also houses cornering lamps. Beyond that it's very familiar with new alloy wheels, tweaked LED tail lamps and small revisions to the bumper rounding off the visual changes. The new car retains the Yeti's charm but adds a bit of sophistication to the recipe. It's a very familiar sight on the inside but with a few new touches like a wheel from the Superb, a new centre display in the instrument console, and a new touchscreen display. I like the Yeti's interior with its smart wood trim but passengers in the back won't be quite as keen. 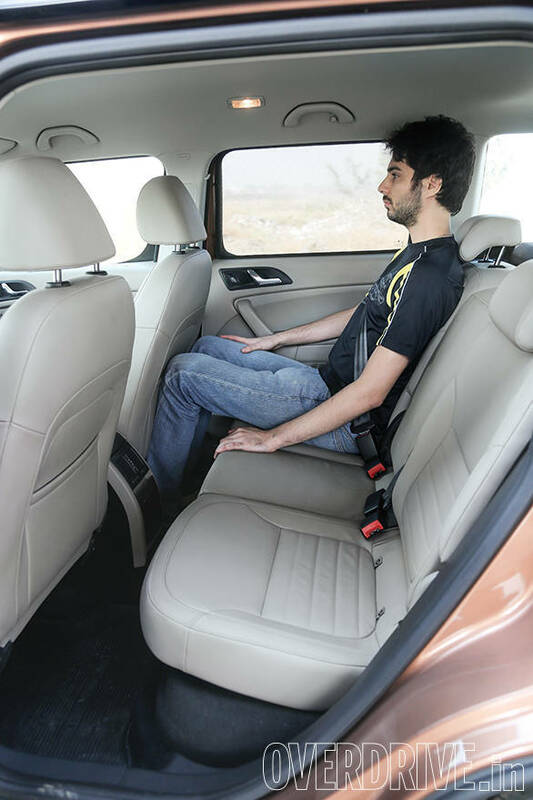 It offers just about as much knee space as a premium hatchback and putting a third passenger in there will make it quite a squeeze. The CR-V on the other hand is an evolution of the old car which makes the change easy to miss, especially from the side and rear. The front end is a little fresher with smart LED infused headlamps and a big chrome grille. The insides are well put together but rather simple, although we do like the smart layered instrument cluster. However the best part of the CR-V is just how comfortable the cabin is. If you're looking for an SUV to be driven around in stop reading this and go buy one immediately. The seats are soft and squishy, the legroom at the back is the best of the lot and the cabin is well isolated from the outside. There's no doubt that the Santa Fe is the best looking car here. Its stylish and swoopy design on the outside makes it look premium and expensive and the theme continues on the inside. The dash will remind slightly of the Elantra and Verna in terms of the buttons and plastics used in places but the same can be said of the Yeti and its reminiscence of a Vento. It's still a great looking cabin and we particularly like the Supervision instrument cluster available on our top end AWD variant that has crisp high resolution graphics. The Santa Fe offers just a little less space than the CR-V at the back but has the advantage of a neatly folding third row that's good to transport kids over a short distance. While all three have dual zone climate control, both the second and third rows in the Santa Fe get AC vents. 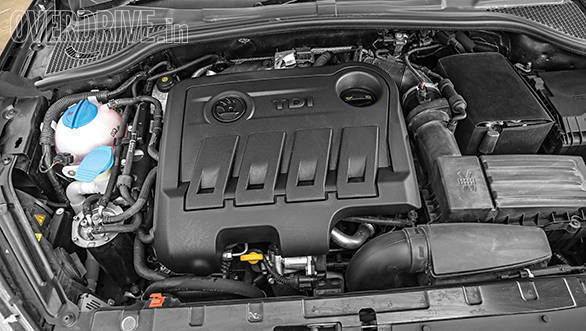 The Yeti gets a slightly revised version of the Haldex clutch all-wheel drive but otherwise continues with the same 140PS 2.0-litre engine and 6-speed manual. This is where the Yeti loses out - it really could have done with a dual clutch automatic. Still, it's a joy to drive with great smoothness and a strong surge of power almost upto the redline. The clutch though has a rather sharp biting point and it's quite easy to stall the car at low revs if you aren't acclimatised. Performance hasn't changed over the old car so expect the same 10 second run to 100kmph and an overall efficiency of 10.6kmpl. 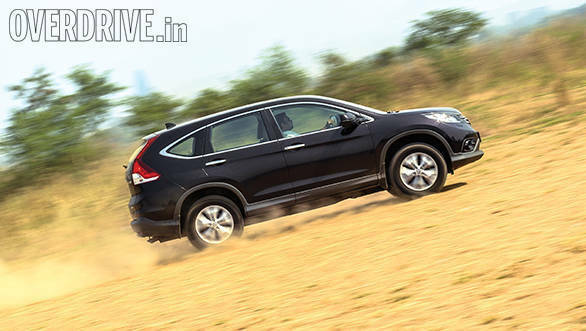 The CR-V has a peppy 2.4-litre petrol motor that produces 190 velvety smooth horses. It is much smoother than the impressively refined diesels in the other two cars. The 5-speed auto though does feel a bit dated. Shifts are quick enough but the ratios are very long - second is good for 130kmph and is the only gear you will use when hustling up a mountain road which can get tiring thanks to the constant high revs. Throttle response at low rpm is also surprisingly sharp and it feels contradictory to the CR-V's comfy character. 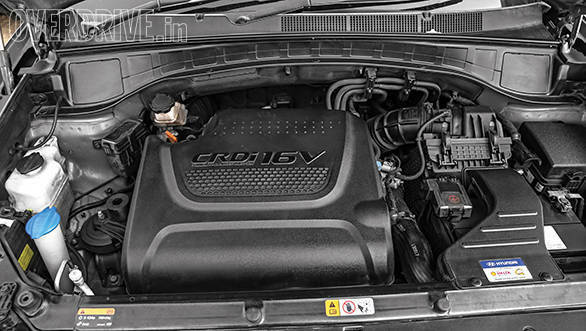 Performance is brisk but calm, mainly because the CR-V doesn't launch very hard. 0-100kmph takes 12s and top speed hovers around 190kmph. Where the CR-V loses is in efficiency - we got a best of 8kmpl in the city and stretched that to 13.4kmpl on the highway. And, it's not rare to see the on- board display reading figures around six when driving in town. Part of the reason why we're fond of the Yeti is because it's such a fun little thing to drive. Ride quality is fair and is a good compromise between comfy and sporty. The steering is light but has the best feel of this lot and the permanent four-wheel drive system offers massive amounts of grip. The car feels agile and doesn't have too much body roll, which added to its compact size makes it fun to throw around. It's easily the best SUV to drive of this lot. It's also quite capable off road and comes with hill descent/ascent control. However the lack of torque just off idle and that sensitive clutch mean that you will eventually smell burning clutch when you start tackling steeper ascents. The CR-V on the other hand has great low speed ride and absorbs small bumps and imperfections well. It's a decent handler as well but the gearbox will ultimately make you back off and settle into a high speed cruise - something this car is exceptionally good at. At the end of a long and tiring day of shooting, this was the SUV I wanted to take home. The CR-V has power sent to its front wheels under normal conditions but when things start to get slippery the four-wheel drive system steps in, sending power to the rear wheels. There's hill climb assist but no downhill assist like in the Skoda or Hyundai. The CR-V can take on some light off-roading but is best saved for smooth blacktop. The Santa Fe hits the sweet spot between ride and handling. Ride quality is impressive at all speeds and the car soaks in most of the bumps and potholes you will encounter. Like in the Honda, power goes to the fronts and is sent to the rear if required. The Hyundai 4WD system works well and the car feels resolutely planted at all times. 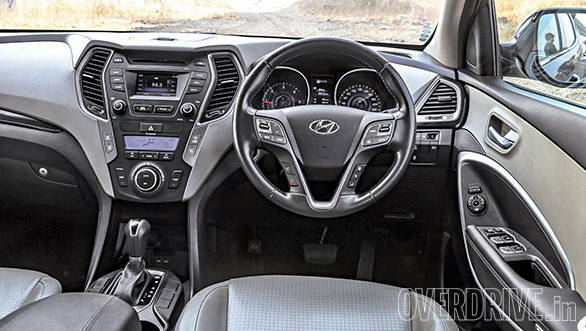 The Santa Fe steering is quick and direct and also has three modes of adjustability - Comfort, Normal and Sport. Comfort loosens things up considerably and is good for city crawls or parking. Normal and Sport firm up the wheel in small increments but, like most Hyundais, there's very little in the way of feel. 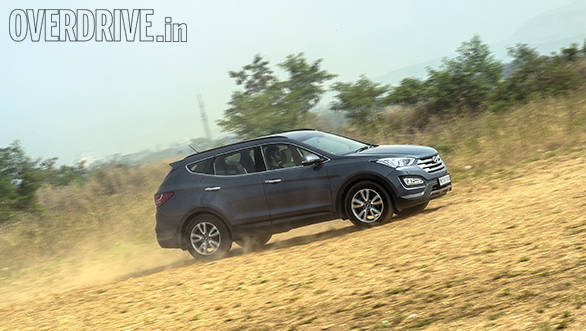 The Santa Fe feels upto more of a challenge off-road than the CR-V thanks to the option of an electronic 4WD lock but you have to remember that the Santa Fe too is a soft roader and there's only so much it can do. The Yeti is not an obvious choice in the average SUV buyer's mind. But get over the fact that it's rather small and you will discover a quirky but lovable car that is a hoot to drive, has decent space for four and their luggage and can also tackle anything our roads have to offer. However when you take a look at the Rs 25 lakh price tag in Mumbai after taxes and the fact that you can't have an automatic transmission, it all starts to fall apart. So the facelift doesn't change things - the Yeti is a fantastic machine to someone looking for its particular set of qualities with no limitations on price. But that makes for a very small group of buyers in a vast SUV market. 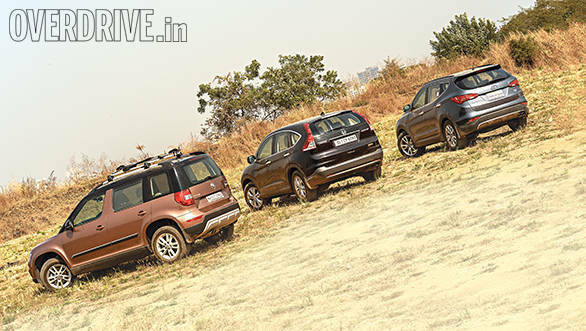 And that brings us to a similar conclusion to the last time we tested the CR-V and Santa Fe together. 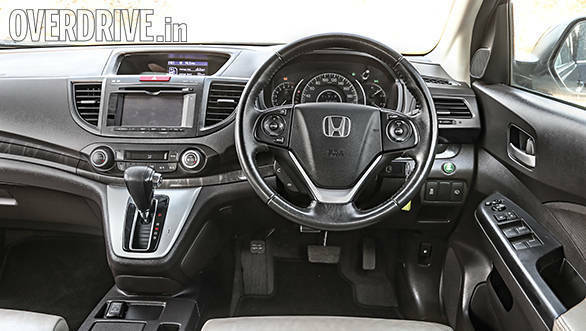 The top end Rs 30 lakh CR-V 2.4 AT is a fantastic machine when it comes to comfort and it offers a fair number of features as well. However the gearbox feels old and there's still no choice of a diesel. And despite the fact the diesel/petrol gap is closing most customers still look for a diesel power when it comes to SUVs. And that, like the Yeti, relegates the CR-V to a small corner of the segment. 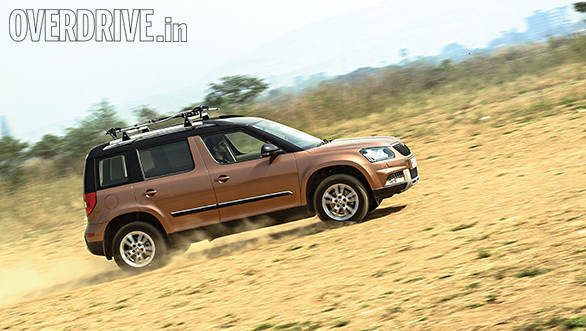 Which brings us to the Santa Fe - Rs 35 lakh is an awful lot of money isn't it? We do wish it was cheaper but the Santa Fe makes up for it by bringing a heap of plus points to the table. It has a fantastic design that isn't out of place amongst more expensive European machines. It has the most powerful engine, the best fuel efficiency, the most comprehensive set of features, a third row of seats and the biggest boot with the third row flat. So yes, Hyundai do ask for a lot of money, but they make sure they give you a lot of car in return.